Essa Logistics provides cross-border logistic management for your company's needs. Certified professionals are waiting to transport your goods across the border. We offer multiple different cross-border services to fit your specific needs. Truckload Brokerage – ESSA Logistics provides truckload and volume LTL service solutions. Our staff, of experienced certified transportation brokers, (CTB’s) are knowledgeable professions that will assist you in finding qualified carriers to transport your freight. Trucking – ESSA’s trucking division operates 53’ x 102” air ride dry vans and 48 ft refrigerated vans. Less-than-truckload – ESSA's vast membership has enabled us the leverage large freight volumes from hundreds for companies to bring to you, the individual shipper, significant savings, “Cooperative Shipping, Individual Savings!” Together we are able to provide members with outstanding discounts on cross-border logistic services, FAK's with quality national and regional common carriers and significant reductions on assessorial charges including fuel surcharges! Intermodal Rail Services – ESSA Logistics is a multi-mode transportation provider. ESSA can provide your Door-to-Door Intermodal Service. ESSA has direct relationships with Class 1 railroads and other Asset Based Providers that gives us the unique ability to piece multiple modes together and offer our customer many service options. Talk to our customer service representatives to discuss the rates, availability, and options that will meet your needs. Small package – ESSA can provide its members, national account pricing on international and domestic small package services. We are able to bring you significant savings through our partnership with United Shippers Solutions. International Ocean – ESSA and United Shippers can negotiate your inbound and outbound ocean container rates. Individual shippers can benefit by using the leverage that comes with moving tens of thousands of containers per year. We have contracts in place with numerous ocean carriers. Call for your free no obligation quote. All our programs are strictly voluntary. You are never under any obligation to use ESSA / USA. Supply Chain Optimization – ESSA provides risk-free review of current operations including transportation costs, packaging optimizations, internal operations review, and network optimization. You will find our friendly and experienced staff eager to assist you with all your transportation and cross-border logistics management needs. ESSA is the top logistics company in USA and Canada. 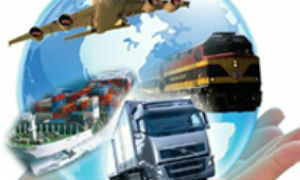 We provide the best logistic consulting services for clients across the globe. ESSA is strategically located in Cheektowaga, NY. Our location is just outside Buffalo towards the western border of New York State. A close proximity to the Canadian border gives our company the ability to service Canadian businesses, and from this location, we service clients on both sides of the border. We provide leveraged transportation rates that power clients towards efficiency at discounted prices. Each warehousing and shipping task is handled with every precaution to maintain quality. We help businesses thrive by delivering goods to their destination fast and efficiently. Furthermore, every client receives a collective commitment from ESSA employees of consistent logistics performance. This will enable trusting business relationships to evolve and mature. Contact ESSA Logistics today, or give us a call at 1-800-627-3664.